Harrowden Turf Ltd was formed in January 2016 when four major UK turf suppliers amalgamated into one business. One of those Companies was Q Lawns in Norfolk who’s Sales and Marketing Manager, Chris Carr was, and still is, a well-known figure in the turf industry. In this article, we learn more about Chris and what makes him tick. Way back in the early 1990’s, Chris was one of the three people who helped launch Q Lawns’ turf. Over the last 2 decades, he has played a major part in growing the Company. Q Lawns (now Harrowden Turf) is currently one of the UK’s largest turf growers. In 1992, Weasenham Farms, a Norfolk farming Company was contract growing amenity turf on behalf of another organisation. That organisation reneged on the deal and Chris took on the task of selling the standing crop. Two years later, and with 200 acres of turf available to sell, the Company was making enough money to justify employing an admin assistant. This freed Chris up to spend more time out on the road introducing people to this distinctive type of turf. The weed-free turf, grown on dark coloured soil soon became incredibly popular. That and the next day delivery service made Q Lawns into market leaders and the Company grew from strength to strength. Chris has been in the same job for well over 20 years. In that time he’s met a great many people. He’s seen the challenges they face on a day-to-day basis. He’s helped them to iron out problems, shared in their triumphs and developed some strong working relationships. 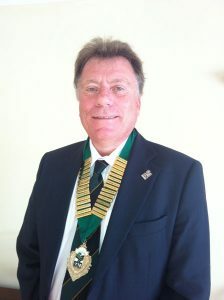 Chris Carr has served as both Regional Chairman for BALI and most recently was National Chairman. As well as being a skilled salesman, Chris a great advocate of learning through sharing information. Particularly via trade bodies such as the Turfgrass Grower’s Association (TGA) and British Association of Landscape Industries (BALI). He has served on the board of both organisations and contributed enormously to their success. 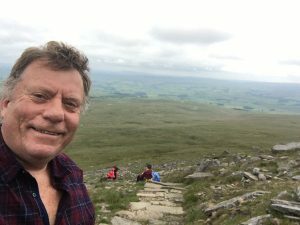 Only two years ago he was BALI National Chairman, a post in which he strived to raise the profile of the landscape industry. Knowing that Chris Carr has been working in the turf industry for over 20 years and that his eldest daughter is in her late 20’s should give you a clue that he’s no longer in the first flush of youth. He’s not ready to retire yet either. Chris is in his mid-50’s. Like many of his peers in the landscape industry, he hovers somewhere between valuing the benefits of the digital age but yearning for the old days when people met face-to-face and spoke to each other. He does have a Twitter account and a Linkedin profile but isn’t ever so good at posting to them regularly. Instead, he prefers to visit, phone or email folks. To Chris, the relationship is the most important thing and for him, social media just doesn’t cut the mustard. Exhibitions are what Chris loves. He’s passionate about all of Harrowden’s products and just loves showing them off to people. These days it’s getting harder and harder to justify the expense of exhibiting at Landscaping trade shows. The return on investment is difficult to calculate and so many people research products online rather than visit a show. You will no longer see Harrowden’s stand at all of the shows but look out for Chris, he’s usually there doing a bit of market research and a lot of networking. 20 + years of experience counts for a lot, especially when it’s combined with enthusiasm and a desire to embrace new systems. Chris ticks the box for all of those three things.